Here it is Sunday night...and I am wishing I had just one more day of the weekend! But, tomorrow it is back to the daily grind of work for 5 more days until the next weekend. Sigh- being a working woman can be tough! Tee hee! I had a fun weekend, but I will get to that in a minute. 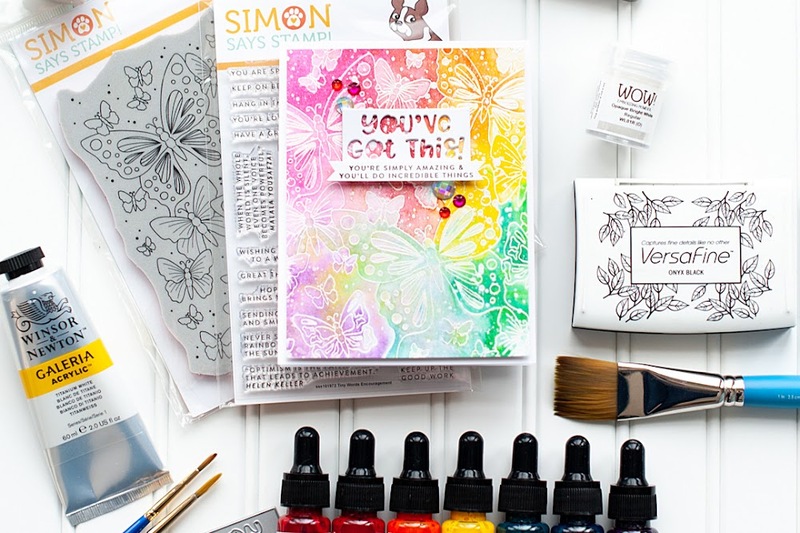 First, I wanted to mention that their is a new sketch up at the CPS Card Blog, and we have a sponsor this week!! 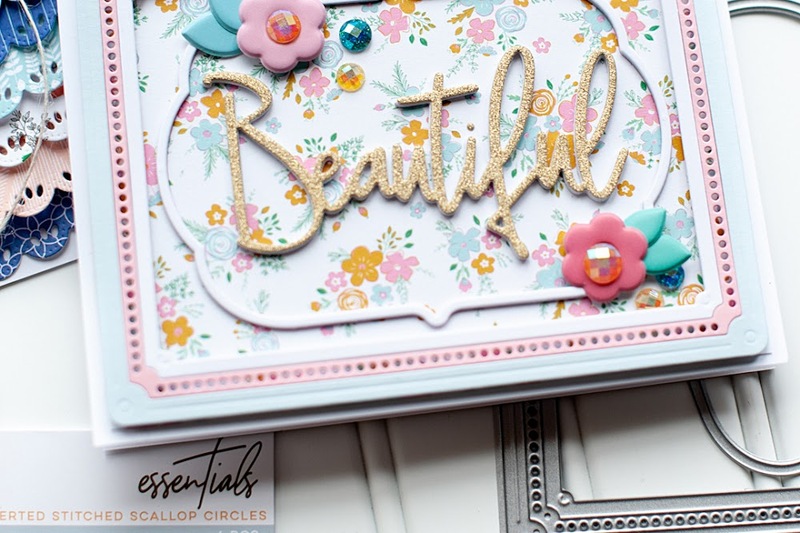 The Embellishment Studio sent us their March basic kit of ribbon and lace....SO pretty. 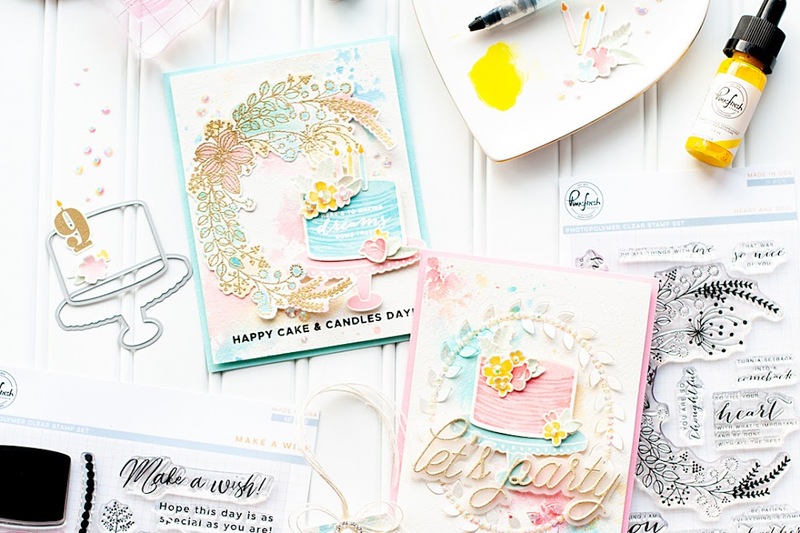 I am friends with some of the ladies that do The Embellishment Studio...and often these ribbons and lace are vintage...and you can actually tell! So pretty and intricate! 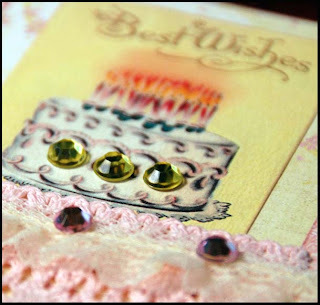 Here is a sneak peek of my card...it will be up on the blog later this week! And now....my Saturday was a lot of fun. My cousin and her family came to Missoula for her daughter's 5th birthday. 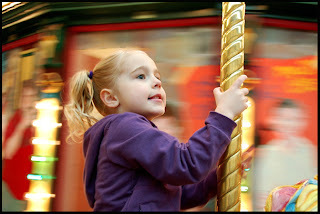 The kids played at Dragons Hallow, rode the Carousel for Missoula, and then we went to the Children's Museum. I made these cupcakes for our after lunch celebration. This time around I made rainbow sprinkle cake, and topped them with cherry frosting. I made the little cupcake decorations with my Cricut Expression, and the Celebrations cartridge. I wanted to make them extra special for Kyla's birthday weekend! I haven't had a chance to go through and edit all the photos from the weekend yet, but this one stuck out when I scrolled through all of them. She is such a little cutie!! He was a trooper! So not a Josh movie, but he took it like a man. I though it was cute. Different than I expected, but really cute. 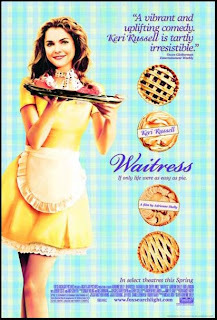 I have loved Keri Russell since her Felicity days...so of course I wanted to see it. Her other latest movie "August Rush" comes out on Tuesday, so I need to get it added to my Netflix queue. I think I will do that here in a minute! Today I did a whole lot of cleaning! Like, the cleaning where you take an hour long shower afterwards because you feel so gross! But, my house is gleaming (except for our room...I so need to get that done this week) and ready for a week of pretty much just me, the pups, and some scrappy time. Josh heads to Minneapolis early Tuesday morning for a work related thing, so it is just going to be me. 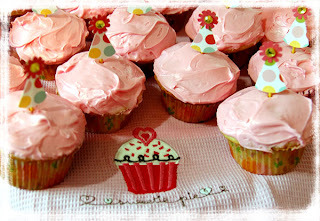 not only are you the Diva of Bling, you must be the Princess of Cupcakes - those are soooo cute!! If only I could pick those cupcakes right off the screen, they look delish! I love your card too, really touchy feely. These are so great! Love the cupcakes! Yummy! Oh and I am a huge fan of your work, by the way! Sounds like you had a super fun weekend! Those cupcake look sooooo delicious! Yummy! I love you "sneak peek"! Super fun! Thanks for visiting my blog! Lea, I *adore* the crystals on your card--such an elegant sneak peek! Can't wait to see the rest of the card! Love that little peek, so cute. And now I want cupcakes. LOL! Wow bling AND cupcakes...clever you...wish I could join you in eating those cupcakes they look yummy!! Ok first of all I can't wait to see your full card...second of all....I want to eat a cupcake...they look delicious!